Home » James W. Clark, Jr.
Dr. James W. Clark, Jr.
Dr. James W. Clark, Jr., English Professor Emeritus at North Carolina State University, holds degrees from UNC-Chapel Hill and Duke. He focused his academic career primarily on the cultural geography and literary history of North Carolina, his native state. For twenty years, Dr. Clark led the statewide Humanities Extension/Publications Program at NC State. During this period, he and his staff produced numerous video treatments of contemporary North Carolina writers in a series called Talk About Writing. This office also produced social studies textbooks with video ancillaries for grades four through seven in North Carolina public schools. In 1992, Dr. Clark edited and wrote an introduction to Thomas Wolfe’s novella The Lost Boy for UNC Press. German and French editions of this work have appeared since then. In 2010, Dr. Clark published an expanded edition of his 1984 social history of North Carolina’s 4-H youth development program, Clover All Over: North Carolina’s First 4-H Century. 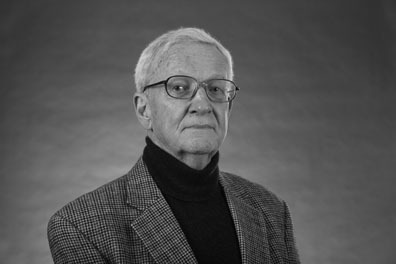 In 1997, Dr. Clark received the R. Hunt Parker Memorial Award given by the North Carolina Literary and Historical Association for significant contributions to North Carolina literature. In 2012, the William C. Friday Award for Distinguished Service in Retirement was presented to him for his voluntary instruction in NCSU’s OLLI Program and at assisted living center life-writing workshops in the Raleigh area. In 2017, he completed a decade as president of The Paul Green Foundation, still serves as president of The North Caroliniana Society, and chairs the selection committee of the NC Literary Hall of Fame (requiring the rest of the committee to plot behind his back to induct him). He also served as president of The Thomas Wolfe Society, The North Carolina Literary and Historical Association, and the Paul Green Foundation. In October, 2017, he was inducted into the National 4-H Hall of Fame at a ceremony in Chevy Chase, MD.